To celebrate Pi(e) Day I’m making a Salted Honey Pie as part of my monthly Portland Plates series. 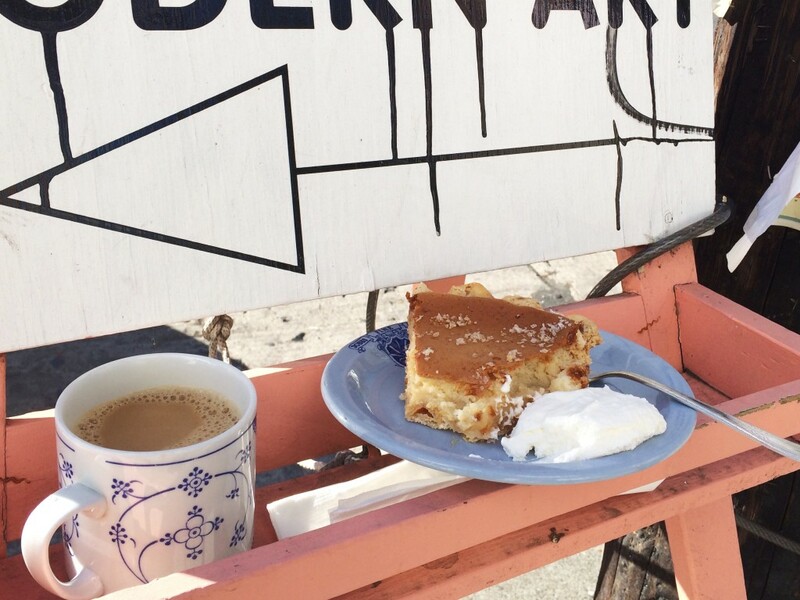 For this month’s installment of Portland Plates, the series where I recreate popular Portland dishes so you can make them at home, I’m sharing the beloved Salted Honey Pie from the adorable Albina breakfast spot: Sweedeedee. I couldn’t wait to try it, so I ate a slice on the sidewalk while waiting for a table. After a bit of research, it seems most recipes for this pie are based off the Four & Twenty Blackbirds cookbook. It’s a simple custard pie recipe, but there was some disagreement between recipes whether to blind bake the crust. I decided not too and it still turned out great. But I did end up increasing the final baking time, making for a darker custard. 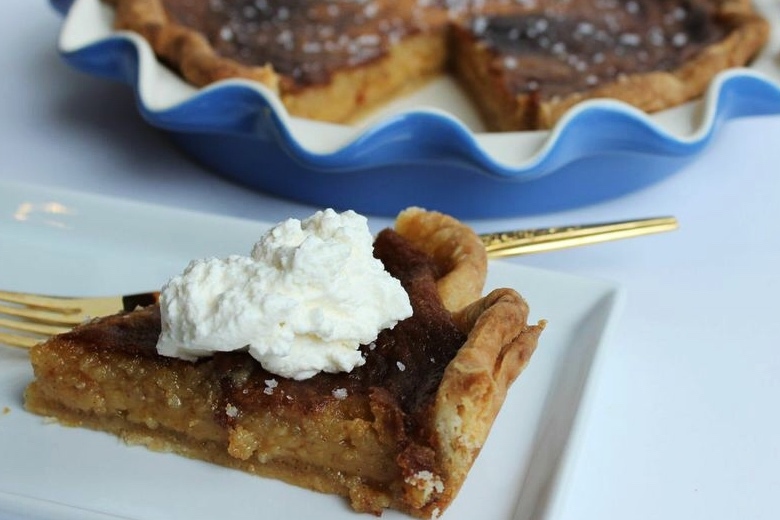 Honey is the star in this pie. The flavor really shines, so this is the time to use the good stuff. Farmer’s market, local, organic… yes, yes, yes. Also consider the flavor. While traditional clover will work just fine creating a more delicate flavor, I think this is a perfect time to go bold. I used a strong blackberry honey from New Seasons Market and it was fantastic! Buckwheat, carrot and orange blossom would also be interesting. The second key ingredient is the salt. Table salt is fine for inside the filling, but you really need something coarser for the top. Kosher salt would be ok, but again, this is a great opportunity to use that fancy stuff you might have laying around the kitchen. I used Icelandic Flake from The Meadow, but Maldon would be great too. The only thing I’d shy away from is black salt for aesthetic reasons. This pie turned out great. Really great. Like, I made it yesterday and it’s already gone, good. (Cringe) Happy baking! And happy Pi(e) Day. 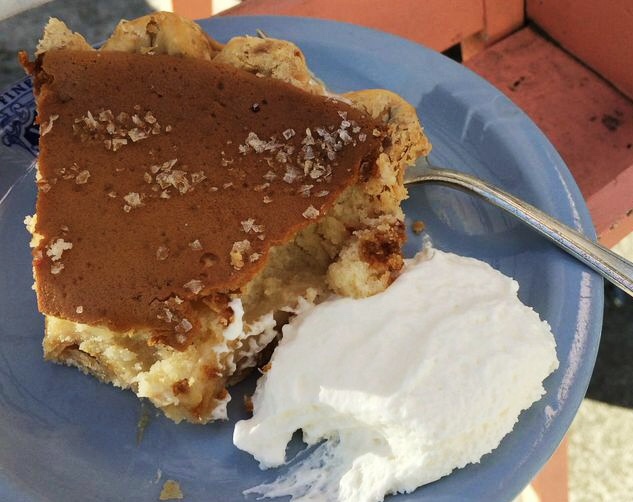 An old-fashioned pie with a sweet and salty honey custard filling. To Make Crust: Combine flour, sugar and salt in the bowl of a stand mixer. Turn on and slowly drop in pieces of the cold butter. Mix on medium-low until the butter is cut into the flour. It should resemble a coarse sand, with the largest piece of butter no bigger than a pea. One tablespoon at a time add the cold water. Mix just until the dough comes together. Shape dough into a flat round, wrap with plastic and chill for 30 minutes. On a well floured surface roll chilled dough until about 1/8 inch thick and 12 inches in diameter. Transfer dough to pie plate then trim and crimp edges. Cover with plastic and chill for 30 minutes to a maximum of 3 hours. Preheat oven to 375 degrees with rack in the center of oven. To make the filling: in a medium bowl whisk the melted butter, sugar, cornmeal and salt. Split vanilla beans and whisk the scrapings into butter mixture. Whisk in honey. Add eggs one at a time, whisking until combined. Whisk in the heavy cream and vinegar. Pour filling into the prepared crust. Bake pie for 50-60 minutes until the filling is a deep golden brown, puffed around the edged and center is only slightly jiggly. Allow to cool for at least an hour, then top with finishing salt. Serve at room temperature with whipped cream. I included my favorite pie crust, but this can also be made with store bought crust. If crust edges get too dark before center is done, wrap edges in foil to prevent further browning. I LOVE that pie! Your version looks faithful and delicious!!! 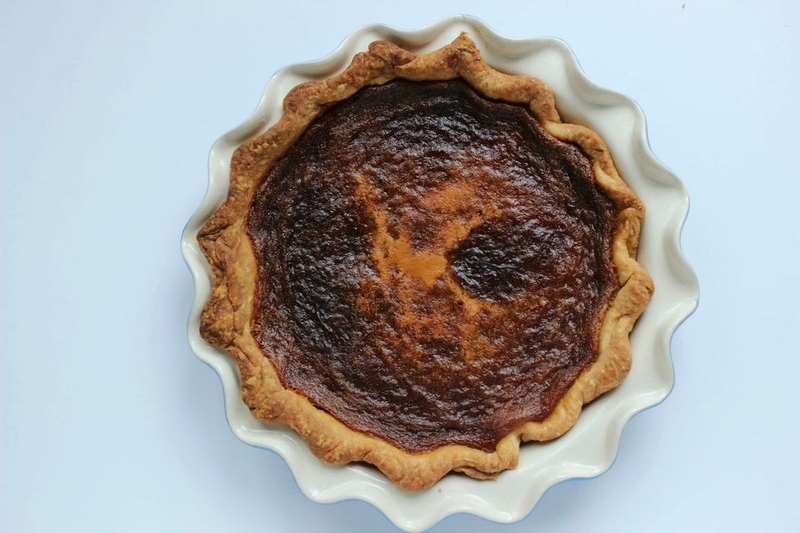 Looks like what I call a “Chess Pie” – thank you for the reminder about Pi day. I celebrate with pie, too. oh my god, i want that! Happy Pi Day! This pie looks and sounds incredible! Oh my. 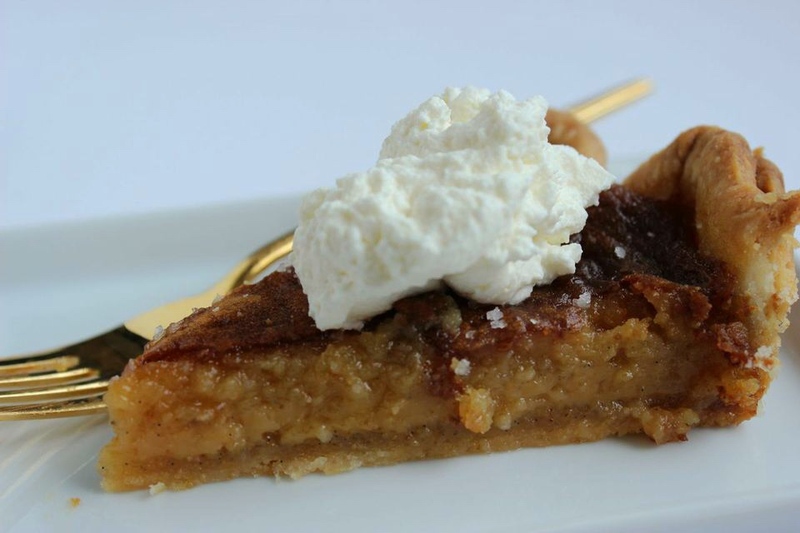 Salted Honey Pie. Three words that add up to what looks like tasty perfection on a plate. Pinning this! This looks delicious… and dangerous! YUM! This looks like all sorts of heaven!! I will definitely be trying this out. What a great idea for a series of blogs. I love it! I’ve only tried to recreate Grand Central Bakery’s Jammers before. Good luck with it all! 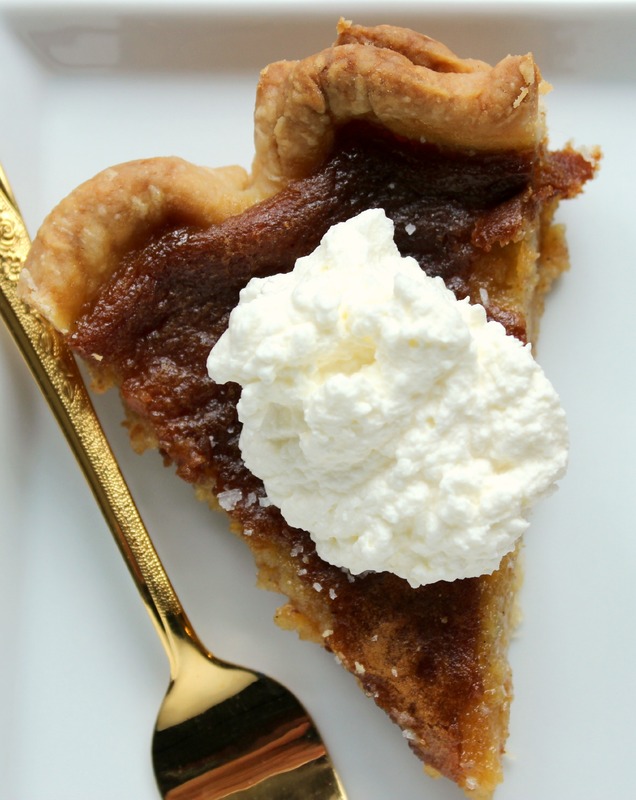 this pie is cloyingly sweet!!! try with half the sugar or less!